Thousands of people are looking at college acceptances this month and trying to decide where to go. Based upon my 25 years of experience studying higher education, here are my top 5 tips. Look very carefully at your financial aid letter. Make sure that you understand how much you are getting in actual aid versus loans they expect you to take out versus the costs they expect you to pay outright. If you are unsure about what the language means, then ask or look for help. And remember to factor in costs of travel to and from school. About 1 in 5 students get into their first choice, but decide that it is just too expensive to go there. That’s an OK choice. My research has shown that students who attend their second, third, or fourth choice can be just as satisfied with their freshman year as students who go to their first choice. And it turns out that what matters more than where you go to school is what you do when you are there. You don’t need to make great financial sacrifices to have a great college experience. Not many people know this, but about 1 in 4 students do not return for their sophomore year. And, on average in the US, only about 2 out of 3 actually make it and graduate from that school. This also varies a lot from school to school. You can use the College Navigator website to find out the percentage of students who graduate and see how the schools you are looking at do in this. You want to maximize your chances of getting that diploma! Make sure that the school you are looking at actually has the major you are thinking about. At one of the colleges I worked at every year we would get students arriving who were ready to major in business. But we did not offer a business major! Look through the majors and see, and while you are there look at other majors that are offered, as many students end up changing their major by graduation. Some people want to go to college close to home, and others want to go as far away as they can get. Regardless, think about things like rural versus suburban versus an urban location. If you are from a big city and think it might be fun to experience the country, think again about if you would really like that much of a change while also trying to balance all the other things a college student needs to balance. Think about climate. It can get pretty cold (or hot) some places. How did you feel when you visited the school? Saw the students there? A campus visit can be very important to help you figure out if this school is right for you, as I have previously posted. If you absolutely cannot visit, talk with students in your area who go to school there and try to find out as much as you can online about the culture at the school. Obviously there are other things to consider, but these are good places to start when you are making this choice. And, finally, relax. Most colleges and universities are really great places to learn and live! Good luck! It’s going to be great! 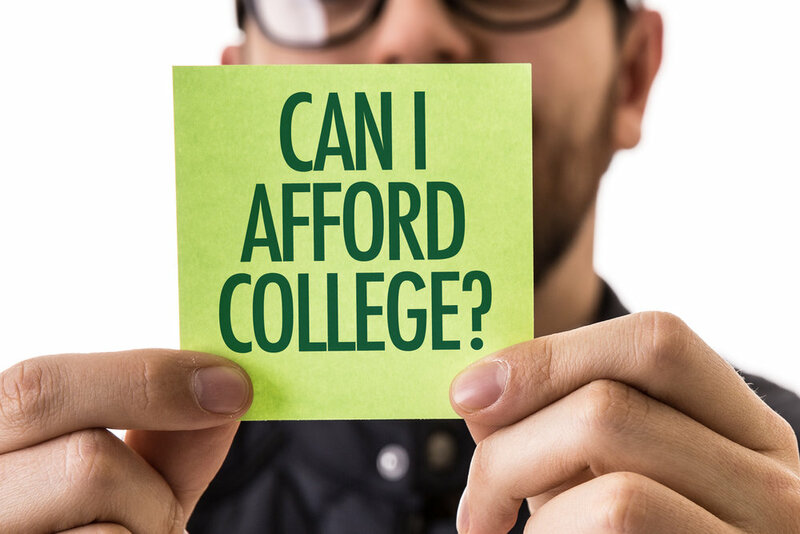 In my last blog, I wrote about the practice of tuition discounting, and how college presidents have a very different understanding of how applicants and their families view tuition than they actually do. Tuition discounting is the widespread practice of setting the “sticker price” of tuition at a high level, but then offering financial aid to discount what people actually pay. Hardly anyone pays full price. The average discount is about half the price in private colleges and universities. And the rate at which schools discount is increasing every year. In the last ten years, it has increased about a percentage point a year, from 38.6% in 2006-2007 to 49.1% in 2016-2017 (figures are from the very well done NACUBO Tuition Discounting Study). Economically, this annual increase is a disaster for colleges and universities, since it means less tuition revenue per student. The schools know this. In a survey that I created and conducted with The Chronicle of Higher Education, we found that four out of five college presidents and chief financial officers (CFOs) thought that the practice of tuition discounting was unsustainable. At private institutions, we found that among CFOs, the people most knowledgeable about institutional finances, 70% thought that tuition discounting was not sustainable at their own institution. For more results on the College Pricing Survey, get the report from the Chronicle’s website. Rainesford Stauffer "somewhat blindly" chose her college, she tells us in an opinion piece in The New York Times. When she arrived she seems to have done some of what we tell students to do to succeed. She joined clubs and took her studies seriously. But she "struggled to conform to campus life." She did not return after her first-year of college. Unfortunately, this is not unusual, as about 4 out of 10 first-year students do the same. One in ten will go to another school that next fall. That leaves 3 out of 10 trying to figure out what else to do. The young woman goes on to tell us about how she went to work, volunteered, and eventually obtained some college credit for what she learned in her experiences (what is called "prior learning credit') and graduated from college this past spring. But clearly there was a mismatch between her interest and that first college. And perhaps a key to that mismatch is applying "somewhat blindly" to that college. This is too important a decision to do "somewhat blindly," but often times people make such decisions this way. Perhaps that is why recent research indicates that half of college alumni wish that they had gone to a different college, or had a different major, or got a different kind of degree. Rainesford felt like a failure when the expectation she (and others) had of her life did not come true. But her story is really one of success, in which she finds joy in different careers and eventually gets that degree. The sadness is that she felt like a failure. What I want is for a few things to happen. One is that we make it easier for potential students to pick a college that is right for them. There is just too little information out there about what matters and how to pick a place that is right for you. Another is that going straight from high school to college is not the only way to be successful in life. Take a year off and figure out what you want to do and why you want to do it. A gap year can be a great experience that can focus your thoughts. It is not just for the wealthy. There are many ways to earn what you need during a gap year. Take local classes at a community college while working and taking time to figure out what you are interested in. There are many paths to an education. That is more true every day in this world. More and more people are taking paths like Rainesford that involve combinations and working and learning. And at 23, I bet she is not done yet. Higher education does not start, or stop, after graduating from high school. Learning is a life-long and enriching activity. I just signed up for my first online course this past weekend and am pretty excited about it. Education should be something that one is excited about. If it's not, maybe that's a sign to try it another way. There are many ways. What is a Good Response Rate for Surveys? "How can we get our survey response rates up?" I'm asked this question a lot. Everyone who conducts surveys wants more people to take their surveys. But people, for the most part, don't seem to get excited about all the surveys we have for them. With the ease of which a web survey can be created and implemented, more and more surveys are being launched. And the more survey requests someone gets, the less likely it is that they will comply. So response rates have been falling for years. There is an assumption that the higher the response rate is to the survey, the more accurate the results will be. Oftentimes the first question I will get about a survey is about the response rate, because people have been conditioned to connect a low response rate with inaccurate results. This is most often used when someone does not like the results of the survey. A low response rate lets people dismiss findings that they don't want to hear without actually having to deal with those findings. But (shhhh) nobody really knows what a good response rate is. I recently, however, came across a paper that addressed this in a great way. "How Important are High Response Rates for College Surveys?" is a paper by Kevin Fosnacht, Shimon Sarraf, Elijah Howe, and Leah K. Peck all at Indiana University Bloomington that was published in The Review of Higher Education in the winter of 2017 (I've linked to a version of the paper you can access without a membership in any particular library source). It is one of the best treatments of this issue I've read. OK. Now, think about web surveys. You get an email asking you to take a survey. Maybe you do that (thank you! ), or maybe the email sits in your inbox and gets lower and lower until you forget about it. A few days later you get another email asking you to take that survey. But you are busy brushing your cat and there is hair everywhere and then after you clean that up there is that show you've been binge watching, and again you don't take the survey. A few days later, there it is again, another reminder to take that survey. But this time you aren't terribly busy with something else and it sounds kind of interesting, so you click on the link and take that fascinating survey. You've just gone from a non-respondent to a respondent. If I hadn't sent you that second reminder (you knew it was me sending you that survey, didn't you? It's kind of what I do), you would not have taken it. There is a direct relationship between the effort the researchers take to get people to respond (e.g., number of emails, offering incentives, leaving the survey open for longer times, etc.) and how many do respond. As the person administering the web survey, I also know when you completed it. So I can tell if you did it right away after that first email (low effort), or if you only did it because I emailed you three times (high effort). We can compare the results of the early respondents with those who are later respondents. So, what are the results when we only had, say, 30% of the respondents answer? Let's add in the next wave of respondents and see if the results change when we have 50% answering. This tells us if the results change (and maybe get more accurate?) as a function of the response rates. 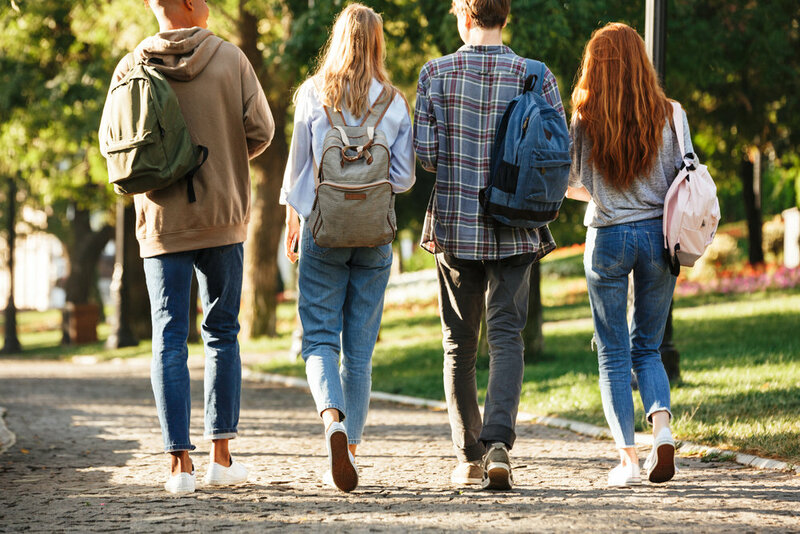 The authors of this particular study took a large database of responses from multiple institutions to the National Survey of Student Engagement (NSSE) to test this and, using the timing of the response, simulated surveys with various different response rates. They could then see what happened if a survey had, say a 10% versus a 90% response rate. Which is very cool. And what they found was that response rate didn't really matter much. The reliability of the results was pretty good whether you used a 5% response rate or a 75% response rate. In fact, what mattered more was how many respondents you had, with smaller numbers being less reliable than larger numbers. Their study showed that reliable data could be obtained with a sampling frame of 500 even when the response rate was as low as 5% to 10%. Obviously the numbers of respondents that you get should also be influenced by the types of analyses you want to conduct, especially if you want to look at subgroups of students (for instance, men versus women). One study should not overly influence our practices, but the authors also provide evidence of similar findings from other researchers. I definitely recommend that you read their paper, as there as nuances in there that a blog cannot capture. But perhaps we are seeing a move away from the tyranny of the response rate. Devoted readers will recall that my last blog post was prompted by a paper by Sax & Weintraub on patterns of communication between first-year college students and their parents. After I'd written it I realized one thing was nagging me about the results, and so I contacted my friend and colleague Linda Sax, who was one of the authors. I was struck that the article did not discuss if there had been different patterns of communication with mothers and/or fathers for male and female students, and so I asked. Linda told me that this was actually the second paper they had written from this set of data, and that indeed the first paper (which she kindly sent me) had published results showing that yes, indeed, there were differences. As one might expect, communication while students were in school was most frequent between mothers and daughters, and then between mothers and sons. For fathers, the pattern was reversed: men were slightly more likely to communicate with fathers than mothers. Many students were satisfied with the amount of contact they had, although 46% of women and 33% of men wanted more contact with their fathers. The desire to want more communication with fathers is associated with declines in emotional wellbeing from entering college until the spring of freshman year. While it is difficult to use this data to definitely say that lower levels of communication with fathers leads to lower levels of emotional wellbeing, this is certainly a good possibility. In the other paper I wrote about by Sax & Weintraub we saw similar results with lower levels of communication with fathers associated with lower levels of academic adjustment. Again, as parents we need to remember that our job is not done once that last box is moved from the car to the dorm room. Keeping lines of communication open is key in helping students be successful in that crucial first year of college. I did something new this week. Usually I speak to college faculty, administrators, researchers, or policy wonks about my research. But having, once again, come out of the college admissions process alive and witnessing another excellent choice by one of my children, I had an idea to do something new. Talk to parents of high-school students. Choosing to go to college isn't easy. There are a lot of choices and it is a big financial commitment. There are also a lot of misperceptions out there. I saw that in visiting colleges with my children and in talking with parents of their friends. I've been in higher education for over 25 years and there were still things I didn't know. So I decided to try and help, and spent about three months (off and on) putting together a talk that tries to convey some helpful information in what can be a time of great stress. I want to reduce that stress for parents and students. I approached Notre Dame High School's Counseling Department (both my son and daughter graduated from there and had excellent college counseling ) with the idea: would this be of interest? Turns out it was, and on Tuesday night I spoke in front of a standing-room only crowd. I was interested in how well I predicted what would be interesting to parents. Sure enough, the whole idea of tuition discounting was the one that shook the room. I used the Department of Education's College Scorecard to demonstrate this. Only a handful of parents knew of this resource. One of the parents that came up to me after the talk told me he immediately got on his phone and looked up all the schools his child was interested in. Does it matter where you go? What does college really cost? Will my child have crippling debt? How do you do college right? My goal with this is to make the process less stressful for parents, and then hopefully also less stressful for their children. From what I heard Tuesday night, it might have worked.